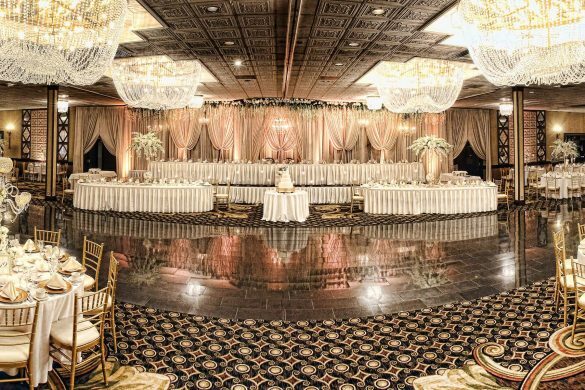 The Chateau Ritz Grand Ballroom features an impressive 10,000 square feet room with high ceilings, crystal chandeliers and marble dance floor. The Chateau Ritz Foyer features luxurious chandeliers, elegant mirrors and winding staircases. 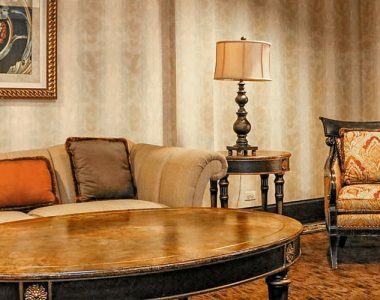 The Chateau Ritz also features two upscale bridal suites with private powder rooms. Your venue! Your setup! Your style! 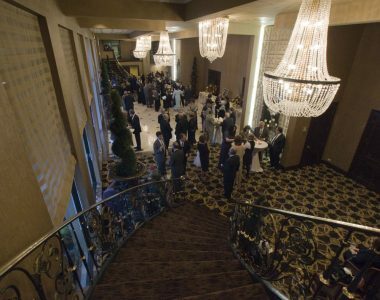 Located in the heart of Niles , just a few miles away from Chicago, the Chateau Ritz offers breathtaking decor and exquisite cuisine for all your social or corporate events. 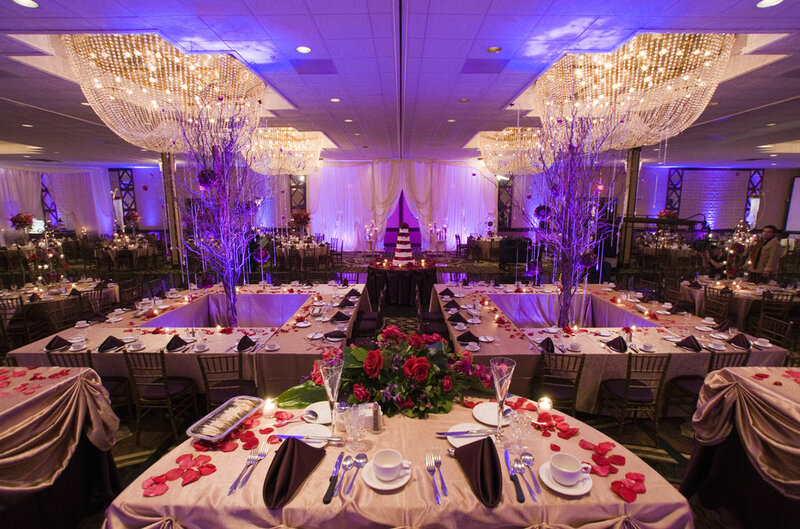 Plan Your Unforgettable Event at the Chateau Ritz! Unparalleled concierge service is the core of every successful Chateau Ritz event. 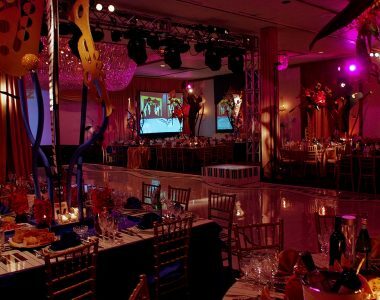 Our dedicated venue managers, knowledgeable service staff, and our event planners bring over 25 years of experience to assure that your event will exceed your expectations. 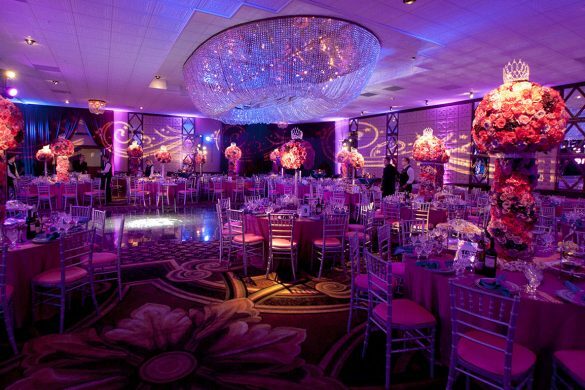 A Luxury Banquet Hall Like No Other in Chicago! I had an absolutely terrific experience having my wedding at Chateu Ritz. You simply cannot go wrong with this venue. Entire staff is amazing, thank you again for such a special evening! Beautiful venue, multiple rooms available for your special events. Parking is big with plenty of spots available for their guests. On the minus side, the food was not as tasty as you would expect and this was noticed on more than one occasion. We are very pleased after having our wedding at the Chateau Ritz in September of this year! Mike and the rest of the crew were very helpful with our wedding planning process. We had to do most of our wedding planning long distance and they were nothing but accommodating. We even had a last minute issue and they were there to take care of it so I wouldn’t have to be stressed out days before my wedding. The food was excellent and the wedding day itself was perfect! The venue is so beautiful! Thank you to all of the staff who helped us make our wedding dreams come true!! !